I’m enjoying an easy quilting session with hubby’s quilt. After all that drama, I think I’ve earned it. This quilt will have straight lines half an inch apart. 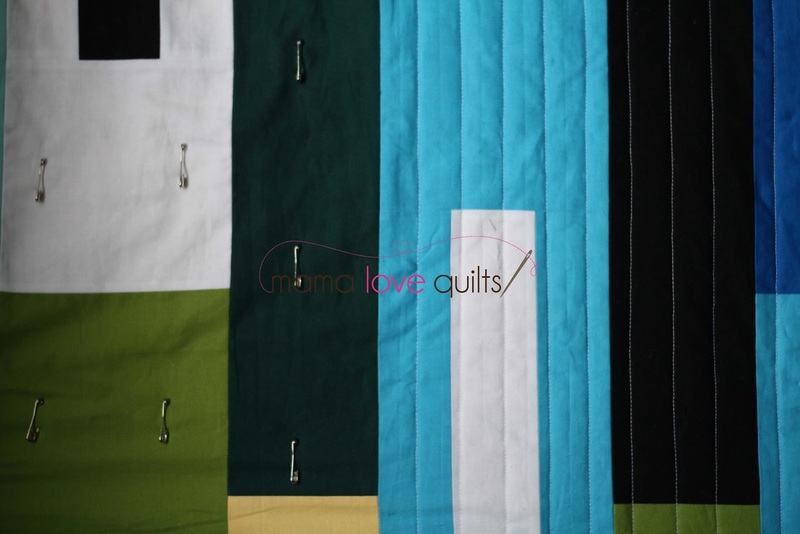 I like to start quilting the lines 1″ apart and then go back to quilt the lines in between. It’s still a work in progress, but that hasn’t stopped some people from putting it to good use. Very cute, Nicole and glad you are over the drama! That is hilarious – love that it gets use BEFORE it's finished. Such a cute photo! Love strait line quilting. It's looking great Nicole. And what a sweet picture that is!! The quilting looks awesome! Glad you are enjoying the process. The colours look lovely, and the straight line quilting is a perfect 'clean' choice. Glad the quilt is passing the all important snuggle test along the way! What a cutie! Reminds me of my little ones! 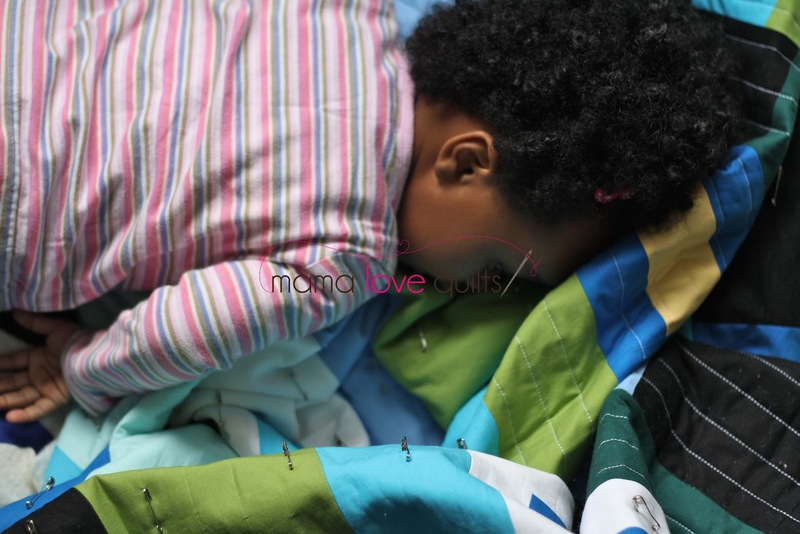 Oh my…you know it is a good quilt when the baby gives it a dry run!! !